The 2014 Farm Act Has Expired- What Now? Where does industrial hemp stand now that the 2014 Farm Act has expired? As I discussed here, it was likely that the 2018 Farm Bill would not pass before the 2014 Farm Act expired on September 30. Well, my prediction (along with the predictions of most other commentators) was accurate. Congress has not yet enacted the 2018 Farm Bill. It is likely to pass within the next 8 weeks or so. However, what is the current legal status of industrial hemp now that the 2014 Farm Act has expired? Fortunately, industrial hemp remains lawful under the pilot programs that have already been created. The industrial hemp provisions of the 2014 Farm Act did not terminate. They will remain in effect unless and until Congress changes the law. In fact, the 2018 Farm Bill includes provisions to phase out the industrial hemp pilot program. These provisions are necessary since the industrial hemp provisions of the 2014 Farm Act do not self-terminate. Second, Congress continues to protect industrial hemp through provisions in appropriations acts that prohibit the use of federal funds to interfere with the “transportation, processing, sale, or use” of industrial hemp “within or outside the State in which the industrial hemp is grown or cultivated.” This prohibits any agency that receives federal funds, including state agencies, from interfering with industrial hemp. 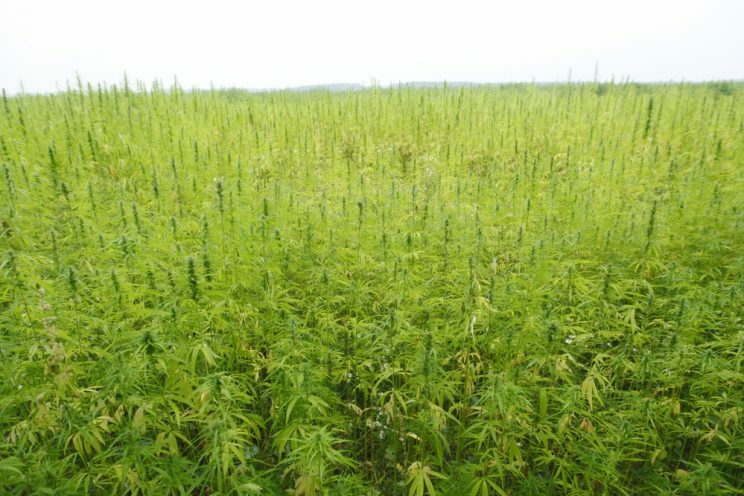 Despite the above protections, we look forward to passage of the 2018 Farm Bill, which will both expand legal protections for hemp, including by making it lawful in all 50 states, and explicitly make it, and cannabinoids derived from it, lawful. Although they are lawful now in some circumstances when derived from industrial hemp, the current law is complex, somewhat convoluted, and promotes a significant amount of confusion. Rod Kight is a lawyer based in Asheville, NC. He is licensed in North Carolina and Oregon and represents legal cannabis businesses. You can contact him directly here. I’m not sure I understand. Is it legal to sell, carry and consume hemp derived CBD oil?? What about CBD Isolate. In many cases isolate tests 99.9% pure. Wouldn’t using this mitigate the problem of delta-9 THC concentrations that do not exceed 0.3% ? It also mitigates the issues of other impurities that show up in concentrated oils such as insecticides. Interested to hear your view of the benefits/down side of CBD isolate. Kurt- From a legal standpoint, cannabidiol (CBD) is not a controlled substance under federal law if it is derived from industrial hemp or the mature stalks of the cannabis plant since both are exceptions to the definition of “marijuana” under the Controlled Substances Act (CSA). All marijuana derived CBD is schedule 1 (most restrictive), with the exception of Epidiolex, an oral formulation of CBD that was approved as a drug for treating epilepsy, which is schedule 5 (least restrictive). The bigger issue is FDA regulation, which I write about here.